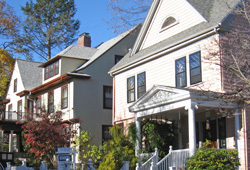 The Spring Hill Neighborhood of Somerville has become increasingly popular and valuable to homeowners. Spring Hill is close to Davis Square, Porter Square, Cambridge, but has housing prices that are typically lower. We are proud to announce that this Nov 21st, 12:30 PM to 2:00 PM we will be hosting an Open House at 166 Summer Street , Somerville. This is an opportunity to visit this excellent House for sale in beautiful . We are proud to announce that this Nov 14th, 12:30 PM to 2:00 PM we will be hosting an Open House at 166 Summer Street , Somerville. This is an opportunity to visit this excellent House for sale in beautiful .